Today is May 1, and the flowers are blooming, sometimes even through the snow so you know they are serious and not about to back down anymore. 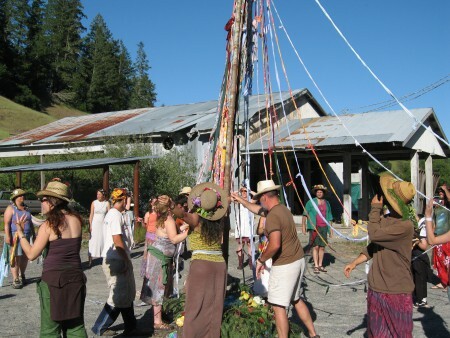 Happy Beltaine! 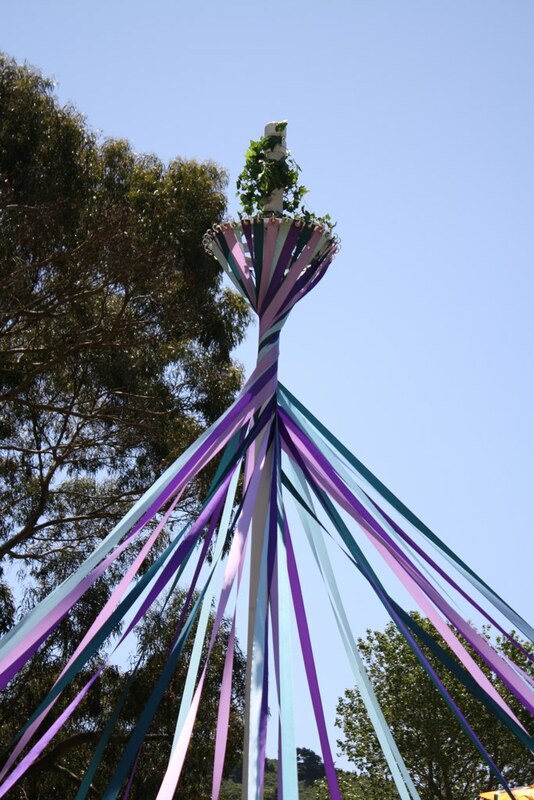 Here’s a festive Maypole (earth-fertility symbol) and an old song in Irish to celebrate. Want to hear it? Here’s the magnificent soprano Nóirín ní Riain singing it. I learned this song from listening to her CD, Celtic Soul. There are of course numerous versions, as with all old folk songs. Check the bottom of this post for a second version that for some reason also involves herring. It’s fun to honor the changing seasons in creative ways like singing. You too can sing in Irish! We brought the summer with us. We have brought the summer with us. We have brought the Summer in. 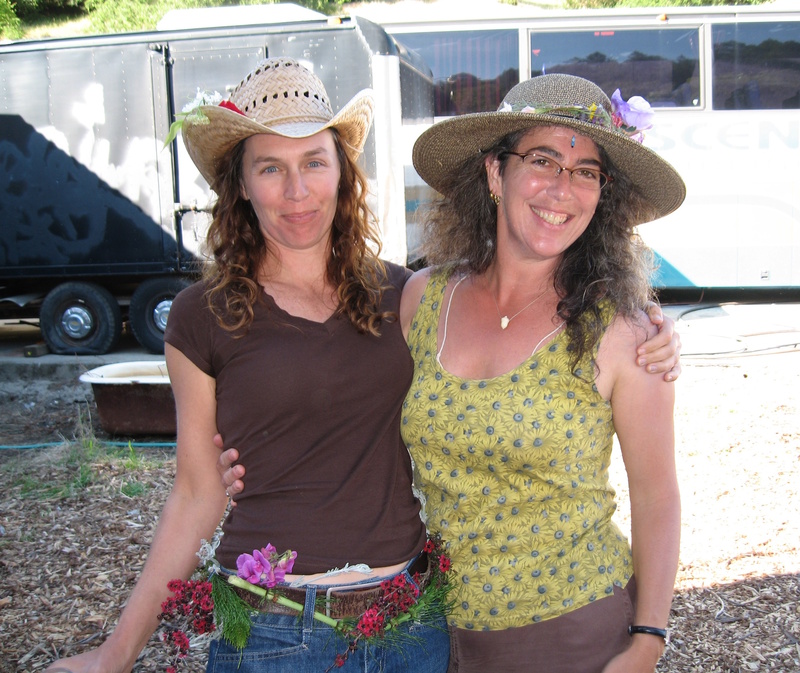 With Kendall Dunnigan, wild queen of OAEC, 2007. Flowers can be worn anywhere! The herring is king, the herring is king. ‘Tis we have brought the summer in. If you would like to learn how to sing more songs in Irish, check out Mary McLaughlin’s very user-friendly intro book/CD combo, Singing in Irish Gaelic (Mel Bay Publishing). It contains some great material, including a bouncy little childrens’ ditty about “Phillip’s little boat with Phillip in it” drowning in the sea. Yep, pretty authentic Irish material, singing cheerily about death. 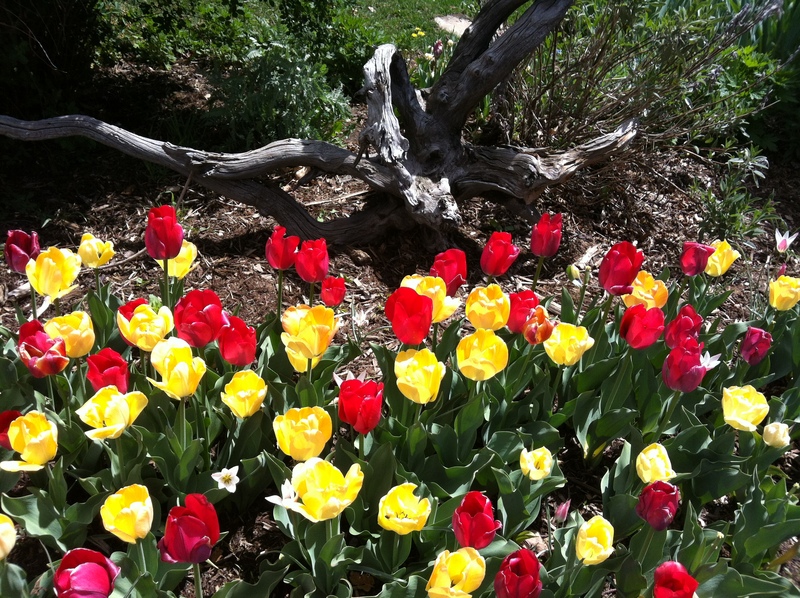 Enjoy being alive right now to see another Spring! News Flash: according to The Nordic Page, an online paper out of Oslo, the governor of Norway has just formally recognized and approved the Shamanic Association of Tromsø as a religion. Why is this worthy of note? Because for many years, this most ancient of spiritual practices been forbidden. 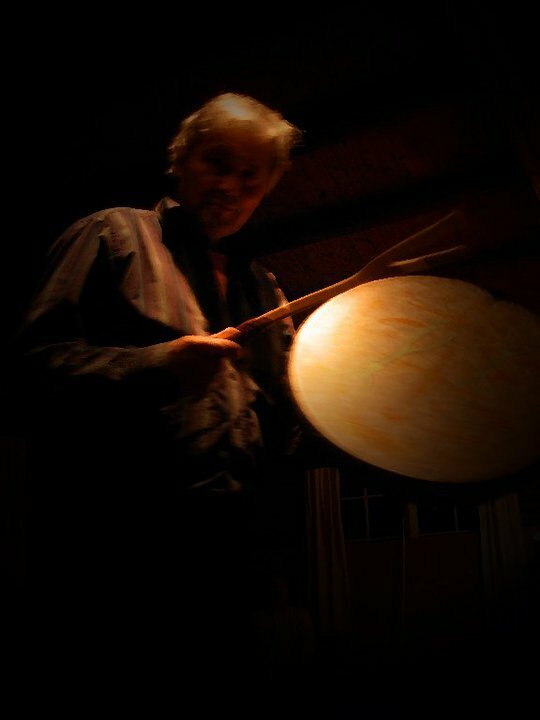 Many shamanic practitioners are indigenous people. The Sami live there; reindeer herders whose nomadic territory ranges over four current nation-states: Norway, Sweden, Finland, and Russia. For years (1920s-1950s) across the former Soviet Union, native healers and shamanic practitioners were given the ‘cease and desist’ order. Drums were forbidden; magical garb burned; spiritual leaders arrested. In some parts, the practice and the “religion” was officially dead – although as it has been for pagan peoples all across the planet for the last two thousand years or so, what actually happened was that its practitioners went underground for awhile, quietly practicing their earth-loving ways and waiting out the oppressive regime. One of my favorite musicians, Saami singer Mari Boine, says that as a child, she was taught to see herself as an “inferior Lappish woman” in the dominant Norwegian society. She was told that their traditional music was “of the devil.” She felt ashamed of her people and her Sami origin. As she grew up she awakened, and started to rebel against this toxic brainwashing. Her music today celebrates her indigenous heritage, combining traditional joik using the shamanic drum with jazz and rock influences. (Links to her music can be found at the end of this piece.) It just tears my soul to think of this amazing, beautiful woman being made to feel less-than. Her cultural experience makes today’s news even more poignant as Norway’s official appreciation of shamanism marks, in a small way, the beginnings of an apology. According to Partida, Lutheran and Russian Orthodox missionaries first arrived in Sapmi in the 17th century. But such action began in the area as far back as ~1000 C.E., when locals began to wear their Thors’ Hammers upside down to masquerade as crosses, in an effort to placate Church activists hellbent on their conversion. But now, as of this week, shamanism is welcomed by this same nation-state as an officially recognized religion. After so many years, the indigenous shamanic practitioners of Lapland in northern Norway & Finland, the Sami Noaidje, can come out of the closet. They can practice their traditional ways in the open, and once more enjoy proper widespread appreciation for it. I feel so happy and grateful to hear this news. I hope it marks a movement to value indigenous peoples’ ways worldwide, as they are desperately needed now in this time of enormous environmental and socioeconomic challenges. I am thinking now of my friend, Sami author and noaidi Ailo Gaup, pictured above. I’m so happy for him, and for all of occupied Norway. Let a joyful joik be heard across the land! “This is the first time that Shamanism has been officially recognized as a religion in Norway. According to TV2, director Lone Ebeltoft in the newly founded Shamanic Federation welcomed the governor’s decision and expressed her ambition to preserve and continue the shamanistic traditions and practices in the country. – It is about understanding and respecting nature. It is in no way mysterious. Shamanism is a world religion where we are up here in the North is committed to preserve the Sami and Norse (Arctic) tradition, she says to Nordlys. The Sámi followed a shamanistic religion based on nature worship. The Sámi pantheon consisted of four general gods the Mother, the Father, the Son and the Daughter (Radienacca, Radienacce, Radienkiedde and Radienneida). There was also a god of fertility, fire and thunder Horagalles, the sun goddess Beive and the moon goddess Manno as well as the goddess of death Jabemeahkka. Like many pagan religions, the Sámi saw life as a circular process of life, death and rebirth. The shaman was called a Noaide and the traditions were passed on between families with an ageing Noaide training a relative to take his or her place after he or she dies. While training went on as long as the Noaide lived but the pupil had to prove his or her skills before a group of Noaidi before being eligible to become a fully fledged shaman at the death of his or her mentor. Thanks to Hillary Webb for bringing my attention to this good news. Beannacht Brighdhe – happy Brigid’s day! May your ewes give plentiful milk; may your awakening plants be safe from frost and bloom abundantly once summer comes; may the pale sun grow to warm your spirit and quicken what is most precious to you. 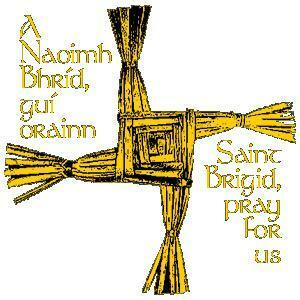 The prehistoric Irish goddess/woman Brigid, aka Bríg (& later, the female saint Brigit) is the Irish patron of healing, poetry, learning, and smithcraft. The meaning of her name, according to Lady Augusta Gregory, is “Breo-saighit, a fiery arrow.” In a way, she’s sort of a western Saraswati. Besides her main skills listed above, she is credited in early Irish tales for the invention of the whistle (for calling each other during the night before the invention of cel phones) and of keening, a particularly moving wailing cry for mourning the death of a beloved. At this turning of the year back toward the warmth, we remember her by visiting wells or springs, and by lighting candles. At Kildare, Ireland, one flame burned constantly in her honor for thousands of years, non-stop. It was tended by 19 priestesses in rotation, one each night in sequence. On the 20th day, the flame was tended by Brigid Herself. Men were expressly forbidden to cross the hedges to view the sacred flame. Giraldus Cambrensis reported that males who tried would go insane, die, or have their penises wither off. No messing around here! This was strictly women only. 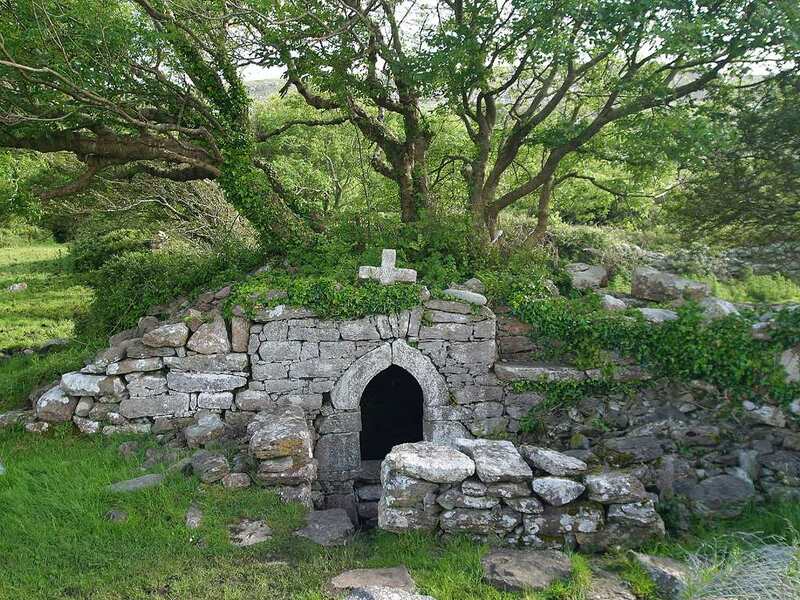 In the middle ages, this ancient flame was extinguished by the Church in an attempt to snuff out such pagan worship – but the people, in good Celtic fashion, just switched names and began worshipping Saint Brigit instead of the goddess Brid. The holiday on Feb. 2 now became known as “Candlemas.” And Brigid’s flame was lit once more, this time by Catholic nuns, who continue to tend it to this day. “Groundhog Day” is a remnant of Pagan spiritual practice for this time of year. I’ll admit to feeling mischievous delight every year when weather augury by rodent gets televised. At this time around February 2, Imbolc, how might you honor the spirit of Brigid and invite her gifts into your life? You might do so by letting your springs of inspiration flow. Compose a poem, a song, a dance, a recipe, a goofy rhyme, a blog post. Light a candle, with intention of allowing your inner lights of hope, strength, love, perseverance, attention, kindness, etc. to return with the light of the sun. Staring into the flame of a candle for three minutes while stilling the mind to pay attention to only that can be a powerful meditation. Pick some herbs and place them in a cauldron to brew tea for healing.In what way can your health be better attended to? Imbolc offers a second chance to go for those new years’ resolutions. After all, the quickening of spring feels much more like the real new year of life beginning, eh? Perhaps you need to be inside the cauldron: take a long hot bath with candles and lavender and perhaps a really good book. Clean and repair your home – the hearth is another aspect of Her sacred fire. Some people feel moved to keep Brigid’s flame as a serious ongoing personal practice. If this is you, check out Ord Brighideach International. You could bring in white: decorate with white flowers or wear white garments. White is an important color for Brigid’s Day – the melting of the last snows; the rising of the first flowers, which in the cold British Isles are often white snowdrops; the white milk that gives this day its other name, Imbolc (from the Gaelic oi melc, ewes’ milk, beginning to flow around now due to the birth of the spring lambs). Go to a water source with reverent intention to help. Clean the debris from a well or spring, so it can flow freely and cleanly once more. (As without, so within, as the sages say.) Then sit by it and watch the birds. Listen to the frogsong. Make little offerings – perhaps of ribbons or tokens; perhaps of poetic words – and ask her blessings. I once saw such a well deep in the forests of Brittany, the tree overhanging it festooned with petitions and offerings. It was a moving sight, and a beautiful reminder to tend the spirit of our living world. 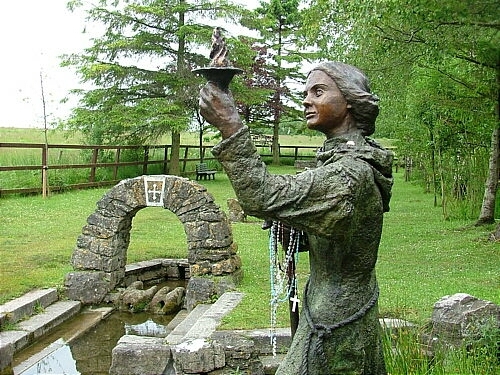 Whether you prefer to think of her as pagan deity, Catholic saint, or the manifested qualities her name invokes: inspired eloquence, skill at forging, and healing, may the blessings of Brigid fall softly upon you this Spring like petals from an abundantly flowering tree. And may they smell sweet. OK, I’m about to admit to something un-PC: at the bare onset of December, I’m already sick of Xmas. This feeling is actually not unreasonable: in some stores, the tinsel came out before Halloween! Ruddy-cheeked Santas vied for shelf space with witches and half-eaten zombie corpses. That imagery alone is enough to drive a child to future therapy. They admitted that the holiday just didn’t do it for them anymore like it used to. Instead of a peaceful respite in the dark of winter, it felt like work. A burden. Cards and untangling lights and decorations and frosted cookies and what on earth shall we give the mailman? And now this story is mine too. It hasn’t even started, yet I already feel exhausted and even a bit revulsed. I feel like boycotting the whole affair. Hanukkah started yesterday and that feels like a burden too. Already?! It just doesn’t feel like winter yet. Bah humbug. I know what turns me sour (besides the commercial frenzy aspect, of course that’s a given, especially now when money is tight and the planet’s in peril from overconsumption) – it’s the songs. You can’t get away from them. Xmas muzak is everywhere you go, loud and also so familiar you can’t really ignore it; it’s laying its eggs in your head, the gestalt earworm from hell. You know what it’s like to be hounded by a mosquito who’s set her sights on YOUR BLOOD AND NO OTHER, zzzzeeeeeeeeee!!! all night long, and no matter how hard you jam your ear down into your pillow or how far you burrow under the blankets, you can still hear it there, buzzing around, looking for an opening to get you? Christmas muzak is like that. But unfortunately you can’t swat it. It doesn’t respond to a rolled-up newspaper, although that’s not a bad idea, now that I think about it. Maybe if hordes of us ran around in these stores, howling from the madness that hideous sound instills and brandishing rolled-up newspapers to swat at their speakers, they’d get the hint. Ah, sweet fantasy. It’s often fun in Tinaland. On December 1, I had lunch at a Thai restaurant new to me. The food was excellent and the décor was lovely – deep red walls, tasteful tall sprays of flowers on each table, muted lighting – plus three white glittery triangular treelike objects on the front counter, surrounded by frolicking snowmen and candy canes. This I could take. But the music! Arrrgh! Solo female vocalists doing sickly sweet Xmas carols to synthesizer accompaniment do not go well with Thai food, especially when diners like me are still recovering from Thanksgiving. Here in Sonoma County, leaves are still turning red & golden. Many are still green on the tree. The weather feels crisp, like late autumn, just after Halloween. I am not ready for this Christmas stuff. So is it me? Am I out of sync with time? Or is time speeding up? Or is it just that the overlap for holiday dollars is really sickening? I’m worried that I’m turning into a curmudgeon before my time. I am sorry to have to introduce the subject of Christmas. It is an indecent subject; a cruel, gluttonous subject; a drunken, disorderly subject; a wasteful, disastrous subject; a wicked, cadging, lying, filthy, blasphemous, and demoralising subject. Christmas is forced on a reluctant and disgusted nation by the shopkeepers and the press: on its own merits it would wither and shrivel in the fiery breath of universal hatred; and anyone who looked back to it would be turned into a pillar of greasy sausages. Ha! Since Xmas is not likely to go away soon, having loads of big corporate pools for breeding, maybe we should just focus here and now on changing one small thing (no, not our expectations of gift-giving – although this worthy subject might appear in a future post). Let’s take on the songs. Some holiday songs are truly beautiful and/or joy-inducing. In my mind, these include Silent Night, Deck the Halls, & Lullay. These need no changing, just less secular airtime. They’re worth listening to; it’s rude to twist such beauty into passive background noise. Others? Yikes. Have you ever listened to the whole Joy to the World? Personally, I have a hard time singing joyfully about sins and curses and nations proving righteousness. Aside from the death-of-the-old-god aspect, songs with retributive smiting in them have little to do with the return of the light (outer and inner) that is, imho, what these holidays that occur around the winter solstice are really all about. By Erica Avery, 1977. Tune: Winter Wonderland. The TV’s on / are you watching? The next one is dated. Feel free to change the toys to more recent greed inducers. The winter will be out of sight. 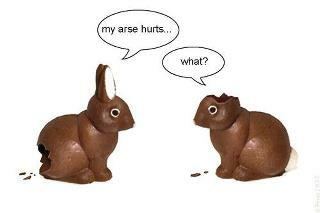 Now it’s Pagan Days once more. 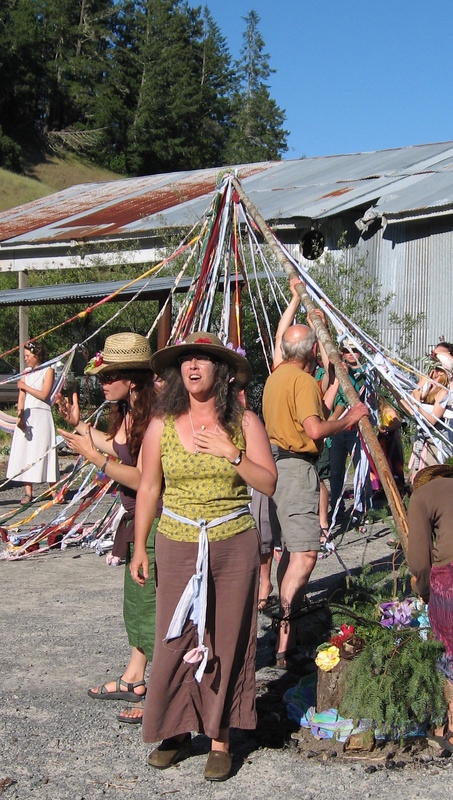 So sing yourself a merrie little Solstice song. Will appear to us once more. We’ll take back our mistletoe and holly bough! So have yourself a merry little solstice now. Inspired by these creations, here follows an idea to take care of the Xmas song problem: Let’s start a rebellion by participating even more fully. Improvisational theater invites us to say “yes, and…” to any bit that’s offered. Not “no, but” but “yes, and.” Say you’re starting a skit about a couple having a tiff and you have something in mind – say, a grocery store scene — but your co-actor opens with a line about the laundry taking a long time to dry. It’s bad form to say “What? NO! You doofus, we’re not in a laundromat; I say we’re in a grocery store!” Instead, you take the offer and then turn it. “Yes, these machines sure are slow. That’s probably why this laundromat sells groceries on the side, so folks won’t die of hunger while waiting for their jeans to dry!” Then you’re open to create a whole new scene about the embarrassment of dining in your Horsie underwear, the only thing that isn’t currently in the dryer. Back to our current real-life scenario. Muzak is the offer? Okay. YES. Sing along with it, loudly and lustily. That’ll show ‘em! Those who love the current songs can sing the official words. Preferably all 12 verses – that leads to surprise and delight or dismay as well, depending on what the verses say. Or, whenever you hear a trad Xmas song that makes your teeth ache and your hair stand on end, substitute your own words. Sing softly, but with enough volume to be clearly audible to those nearby. Let ‘em hear the alternative words. Delighted laughter cures many ills; some claim it can have a positive effect against cancer, so maybe it can even combat holiday muzak. Recent research (plus common sense observation of experience) also tells us that singing makes us feel better. No matter how we undertake it, this plot involves us actively singing. For those moments, at least our mouths will be open too far for prolonged teeth-grating to occur. Yes, welcome Yule. It is good to remember that here in the northern hemisphere, from December 21st on, all roads lead –however slowly– to warmth and light. Elections having just ended here, the outcomes that both please and distress us are naturally on our minds. But even California’s Shakespearean machinations for gleaning shekels from the pockets of the people can’t compare to what just happened in Romania. According to the AP, the country is desperately seeking new sources of revenue. They’ve raised sales taxes and slashed the wages of public servants (sound familiar?) Nevertheless, the Romanian Senate recently rejected one revenue-enhancing proposal – namely, a proposal to regulate and tax witches and fortune-tellers. The bill, introduced by by lawmakers Alin Popoviciu and Cristi Dugulescu of the ruling party, would require witches and fortune tellers to produce receipts for their professional services. Wait, there’s more: from now on, they would also be held financially liable for wrong predictions! A famous Romanian witch, Maria Campina, told the media that practitioners’ erratic income from these endeavors would make record-keeping difficult. This is likely true. But the bill’s sponsor Popoviciu thinks that the opposition actually arose not out of enforcement concerns but from lawmakers who were afraid of having curses and spells put upon them. Not a bad strategy, eh? Wonder if we could get our corporate raiders to fear spells? I was first alerted about this newsworthy item by Chuck Shepherd’s most excellent column, News of the Weird. Each month, Shepherd collects legit but odd news items from the mainstream press and offers them as excerpts. (Yes, I did search, and easily confirmed this piece with original sources.) I read NotW in my favorite newspaper, Funny Times, to which I subscribe. Sometimes it comes quite late and rather wrinkled: I suspect that the post office workers are having their way with it before it reaches my box. But that’s okay. They likely need it, and besides, I’m saving my curses for the truly worthy.